You’ve spent hours figuring out keywords, writing articles, adding images, and now it’s crickets….maybe 10 views a month on those gorgeous 500+ words of original content and those gorgeous images you spent hours creating on Photoshop. Why? Because you have to go out and get eyes on your material. You need to promote your content on social media sites, but if that’s the extent of your social sharing, you’re missing out on some great places to promote and get more eyes on you and your business. 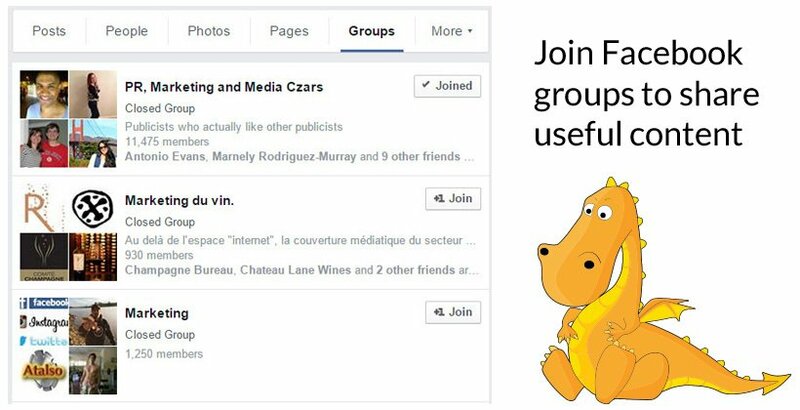 While well-known social media platforms such as Twitter, Facebook, Instagram, Pinterest, and LinkedIn help in promoting brands, there are other lesser used and some lesser known communities which can drive meaningful traffic to your brand. You also need to think outside the box to create visual (and video) content associated with your business or services. Let’s go through the list of the places where you can promote your content to get traffic and convert eyes into customers. A note before you delve into content promotion: DO NOT SPAM. Spamming will only ruin things for everyone. Follow the 80/20 rule, but make it 90/10. Be helpful 90% of the time, and promote less than 10%. Spend time to learn how each community works before you begin posting to it. We’ve included links to a few tutorials to help you get started. Pinterest thrives on visual content. Bloggers and content marketers have experienced huge success with Pinterest. 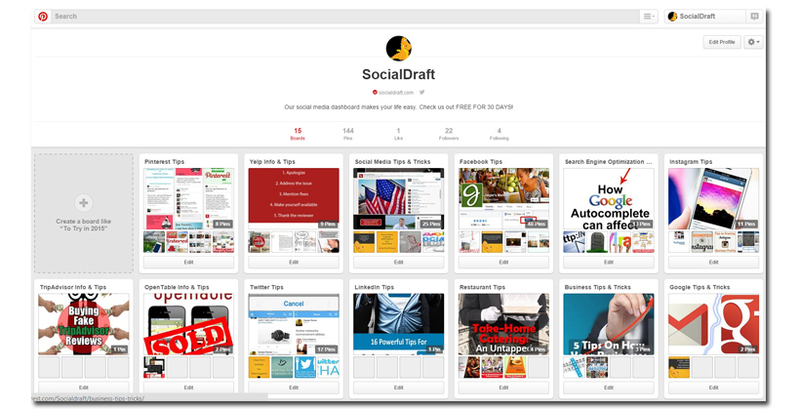 Pinterest is suitable for product images, visual quotes, and Infographics. Infographics do extremely well on Pinterest because of their layout and visual nature. What we love about Pinterest (and why we added the capability to schedule Pinterest Pins on Socialdraft) is that Pinterest is a great tool for driving long-tail traffic to your website. You will be amazed when you see a pin from two years ago still sending traffic today. If you are just getting started, we’ve put together a set of tips to help you understand Pinterest and to maximize your marketing efforts there. Youtube is the second largest search engine after Google. That’s powerful and not to be ignored. You don’t have to create exclusive content for Youtube. Instead, you can re-purpose your popular blog into videos and upload it on Youtube. 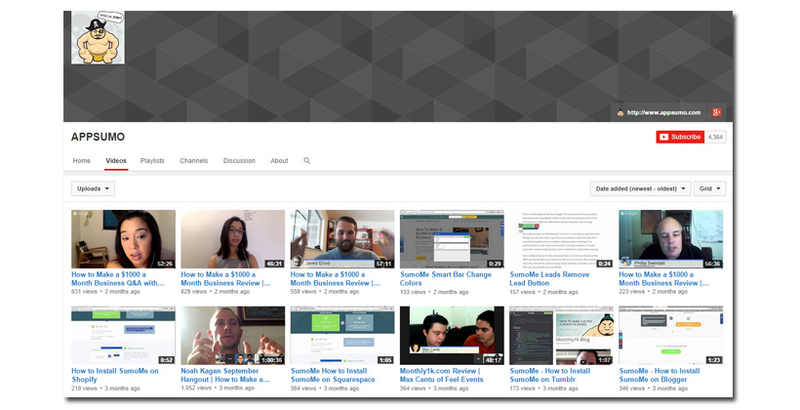 Use simple tools like Animoto to create free video content for sharing on YouTube. Tumblr is young, weird, and tons of fun. It’s also relevant. Tumblr has 794 million Active Monthly Users. That’s 44+% increase year over year and right at the heels of Instagram. You can upload almost any kind of visual content to Tumblr. All links you add here are “follow” links (Google likes those). Their hashtag search is awesome (so make sure to include relevant hashtags). Just make sure to keep your audience in mind here – young & female, so that the content resonates & they re-share. 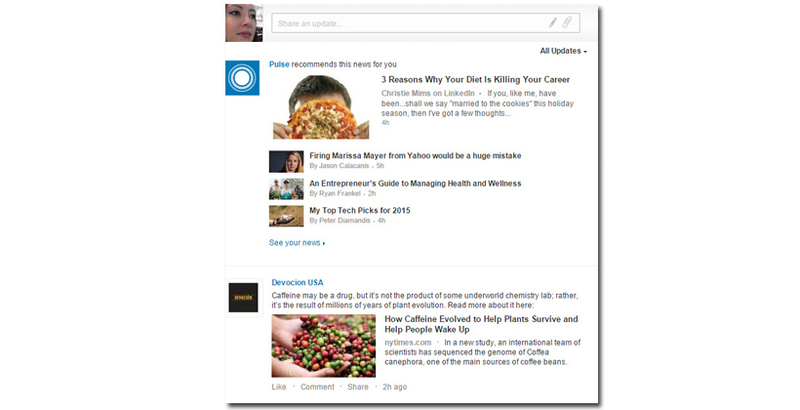 Linkedin also has launched a publishing platform where you can publish your content instead of just sharing links. Savvy marketers create useful, insightful content on LinkedIn to get eyes on themselves and their brands. It is incredibly easy to do and incredibly shareable. 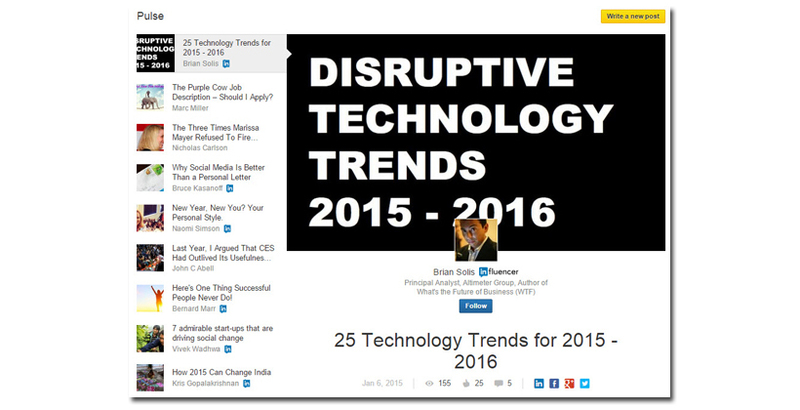 Great place to upload slides, Info-graphics, as well as blog posts re-purposed as slides. Every month, more than 60 million unique visitors flock to the site to find new content. You can even build a following of your potential audience just like Twitter. Every time you upload a new slide, followers get notified via email. You also get a link to your website on your publisher page. 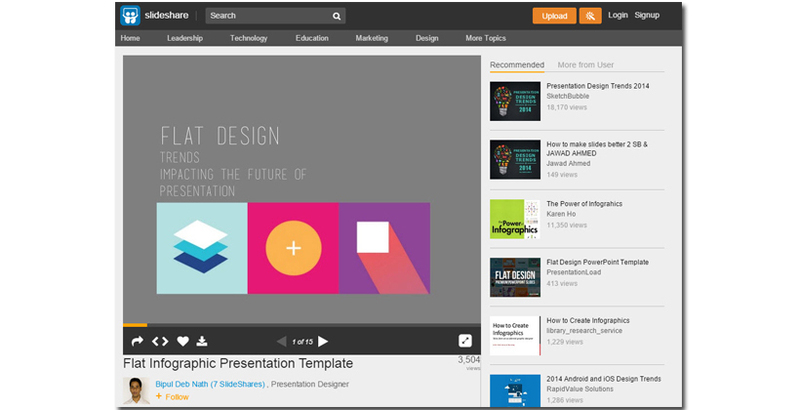 Slideshare is a great way to promote yourself as an expert, get eyes on your brand, and gain clients. 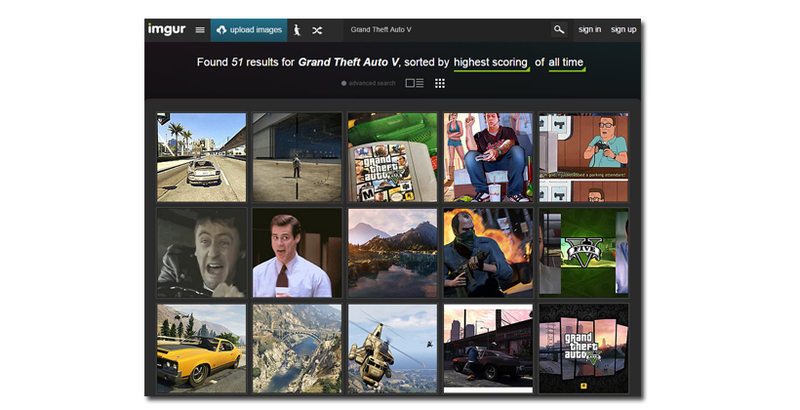 Imgur is home to world’s most viral images which are curated by its community. Yes, we know there is a lot of questionable material there, but this does not detract from its power. Imgur has 250 million active users, 17% of whom spend more than 10 hours on the network. It is a perfect place to upload product images, albums, funny pics, gifs, and memes. 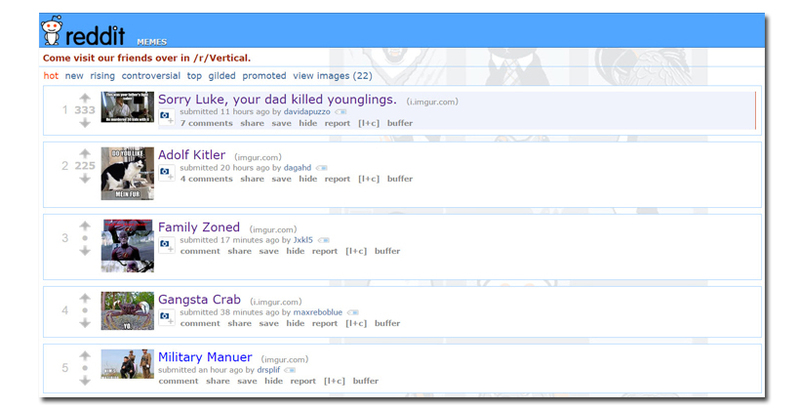 There are many places on reddit to help you promote your content. There are subreddits on photography, infographics, new york, spiders…it all depends on your industry. That being said, if you want the most exposure, we recommend creating content specifically geared towards these two ***subreddits. You better be good though, because the reddit community is all about quality content. We all love memes and we love sharing them. Memes regularly make the front page of reddit and can garner thousands of views. Because users are constantly on the lookout for funny and interesting content to share, what could be better than getting it from the brand they love. A few more sites to upload your memes are reddit-meme, Memecenter, and Quickmeme. Gifs have become the darling of the Reddit, Tumblr and now Twitter users. Subreddit Gifs alone has more than 17,645,486 readers. reddit-pics: Pictures on reddit. Lots of uptokes. Weheartit: Share whatever you love here. Vimeo: If you are making gorgeous video content, share it here. Playbuzz: One of the best places to submit interactive quizzes which have been made popular by Buzzfeed. Listly: Listly lets you create lists with rich content and showcase it to its community. You can even embed such lists on your blog or website. 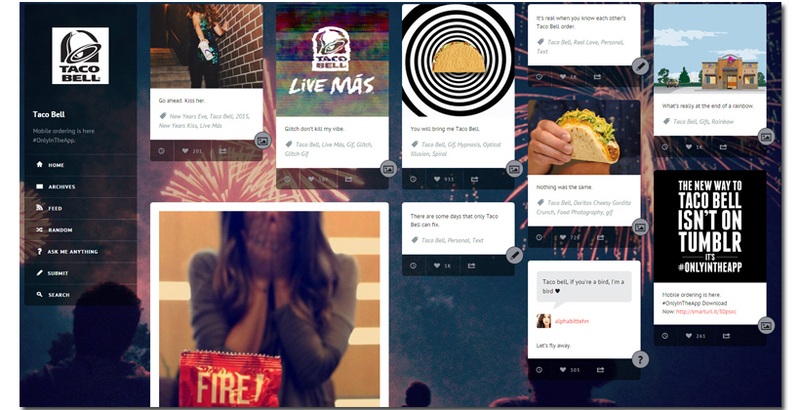 Storify: You can create shareable stories from visual content and publish it.